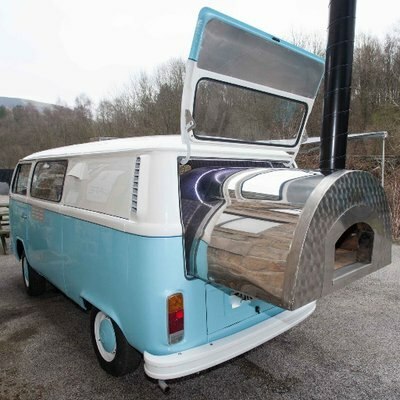 Wood Fired Functions providing traditional authentic wood fired pizzas, made fresh in our classic VW camper van. 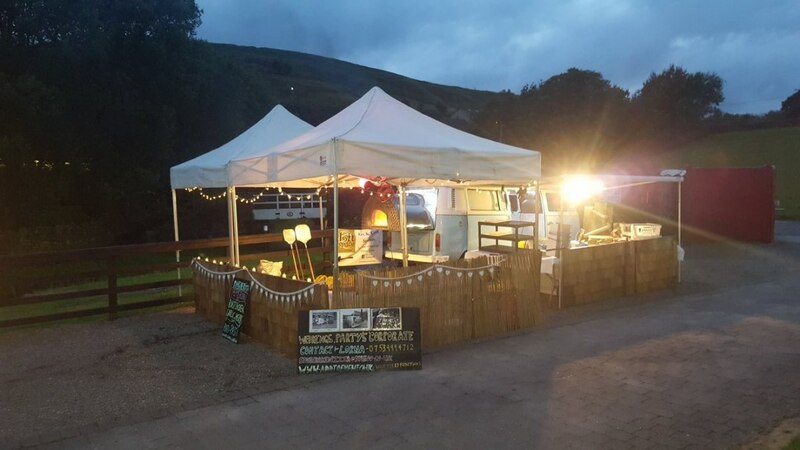 We provide freshly made artisan wood fired pizza's for your event using a combination of authentic italian ingredients and local organic produce. 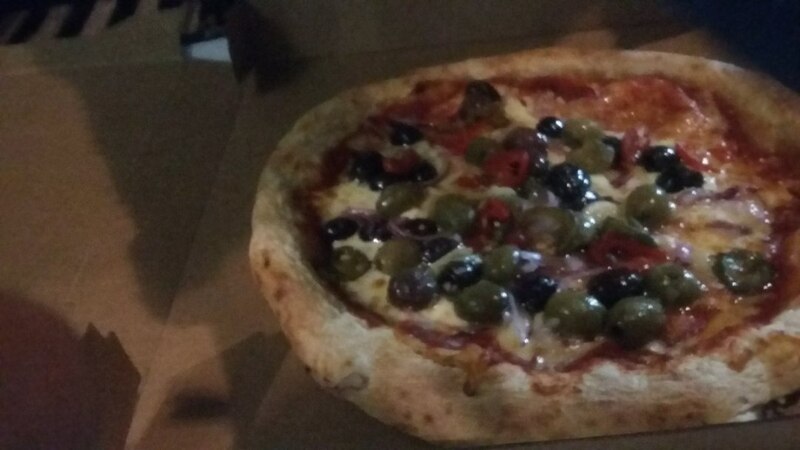 We cater for meat, vegetarian, vegan, gluten free and halal, the pizza's are made fresh in front of our guests from start to finish, the dough is also made fresh using the finest 00 flour, making the wood fired pizza's puff up thin and crispy and extra delicious. 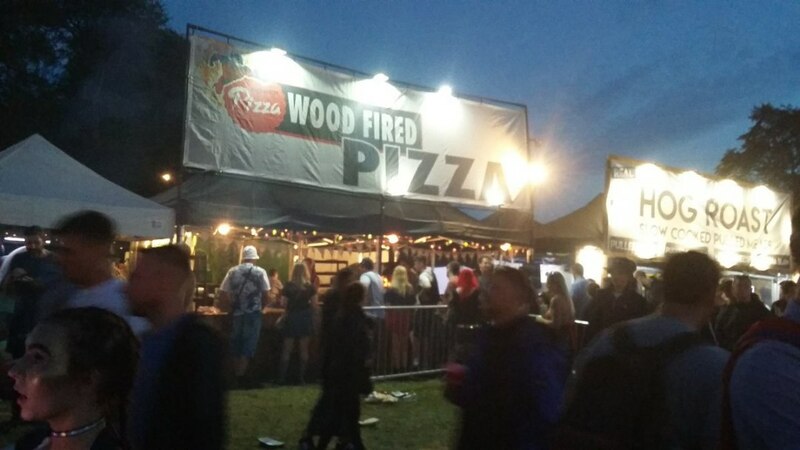 Wood fired functions has two extra large ovens which can fit six plus pizza's in each at a time, they take upto 90 seconds to cook so the output is fast with an excellent quality of service, the customers wont be waiting long at all. 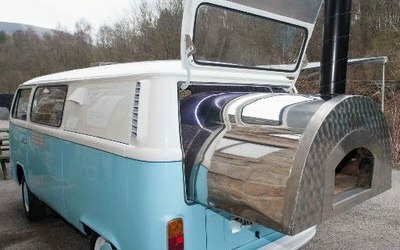 The other is a free standing portable oven which can be placed in any outdoor location no matter how remote. We are a family run business and are all highly experienced along with all relevant qualifications, we currently have a food hygiene rating of 5, we are also members of NCASS- National caterers association. 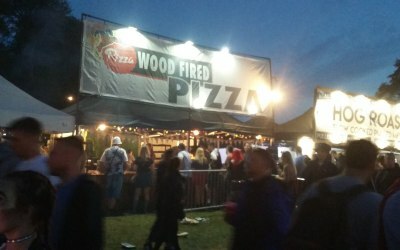 Over the last few years we have woked all over the country at various events and festivals such as V festival, Isle of wight, Leeds and many more, and again very experienced in high volume and excellent quality food. 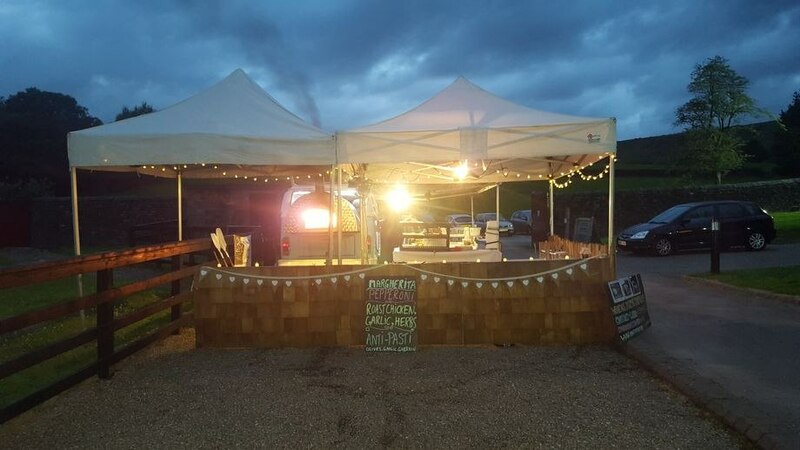 We cater for private events, corporate events, party's, weddings and festivals. for more information regarding our ovens and our menu please feel free to contact us. Corporate events, private parties, weddings, festivals. From the first time we communicated about what we wanted from the service to saying goodbye at the end of the event, Laura and Bryan surpassed all expectations. Their manner, professionalism and desire to please the customer is second to none. 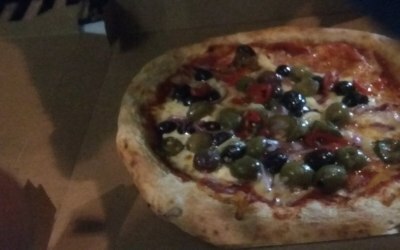 Their product was so tasty and the feedback about their 90 seconds ready Wood Fired Pizzas was glowing from the customers. I tried one just to check, believe me they are gorgeous. Very reasonably priced and served by helpful, cheerful staff of which there were many. We are definitely inviting them back to our next event. Thank you so much for adding that little bit more sparkle to our event. Do not hesitate to book them. Hi Val, thank you for your review, your feed back is very important to us. We enjoyed working on the bonfire evening and will definitely work any future events with you. Kind regards Bryan and Lorna. Excellent service, would definitely book again! 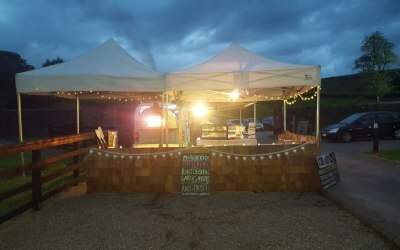 We booked wood fired functions for our wedding at the end of July. 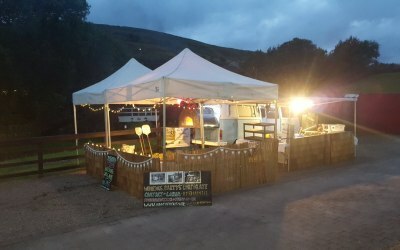 The set up looked fantastic and the pizzas were amazing. 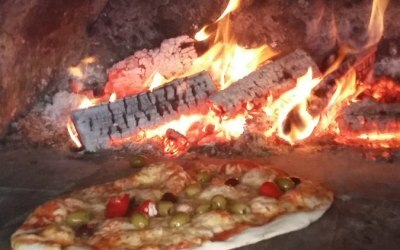 Would definitely recommend wood fired functions for any event!! The only drawback were some pizzas were burnt on the crust and other pizzas were made perfectly, so the consistency wasn't brilliant. But aside from that, the others tasted amazing, everyone was overall happy. As we are vegetarian, Lorna and her team were more than happy to create a veggie menu for us substituting meat for other ingredients to give us more choice. What a fantastic service Lorna and the team provide! In the run up to the event Lorna explained everything and helped estimate the amount food I would need and the costs. 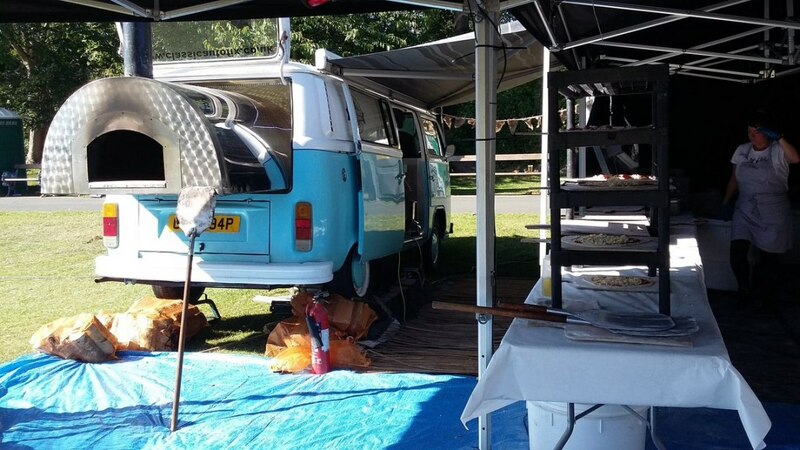 She arrived on the night before schedule, set up with ease and was ready and waiting for the 230 hungry guests. 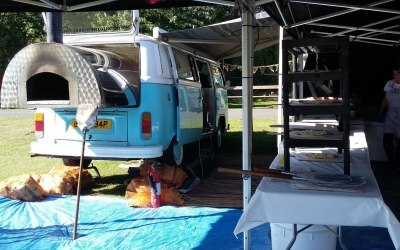 Everyone was so impressed with the VW camper and of course the taste of the pizzas – quite possible some of the best pizzas we’ve had – far better than some of the chain restaurants! A big thank you to the team, we look forward to hopefully working with you again. Thank you very much for your response, we really enjoyed working on the event and would look forward to possibly working with you again in the future. Kind regards Lorna Conway. 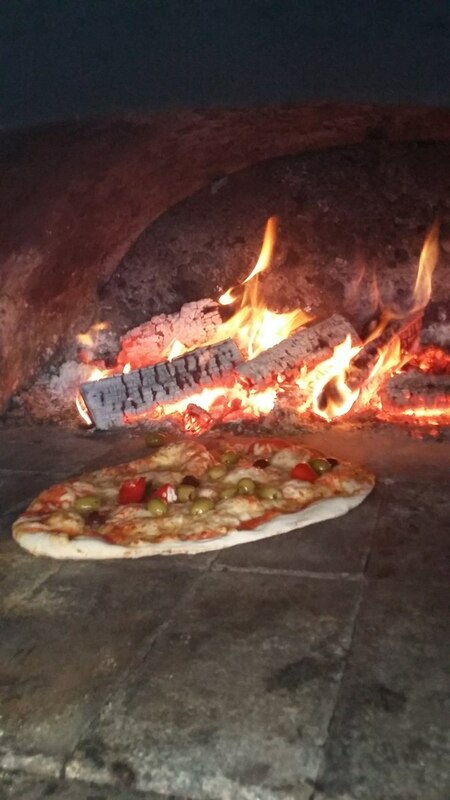 Get quotes from Wood Fired Functions and others within hours.